Former U.S. Ambassador to Canada Bruce Heyman said, “It has been a bad week for Canada/US Relations”. Former Michigan Governor and Former U.S. Ambassador to Canada James Blanchard went a step further: he said Donald Trump’s recent statements about trade between the U.S. and Canada are “unbecoming of the leader of my country”. 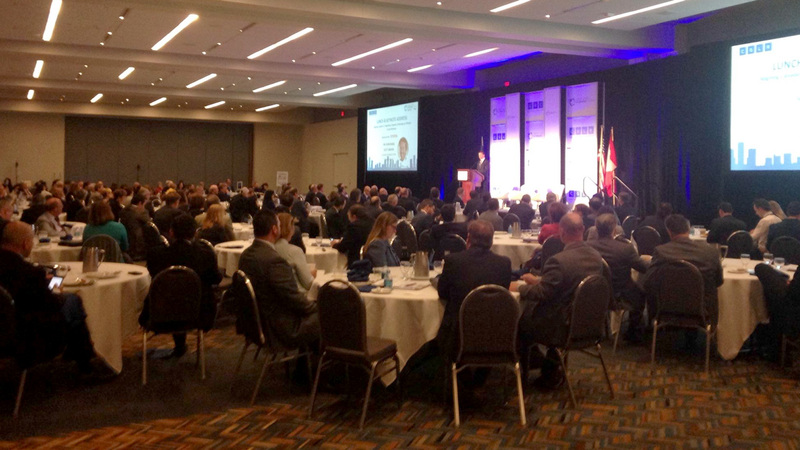 At the Great Lakes Economic Forum at Detroit’s Cobo Hall, business leaders, government officials, and members of NGO’s weighed in on the state of relations between the U.S. and Canada in the Great Lakes Region. And because the Trump administration had just announced it’s planning to charge large duties on billions of dollars of lumber imported from Canada, the escalation in trade tensions between the U.S and Canada dominated many of the panels and conversations. The impact on the labor force from fears about immigration at the U.S./Canada border also took center stage. 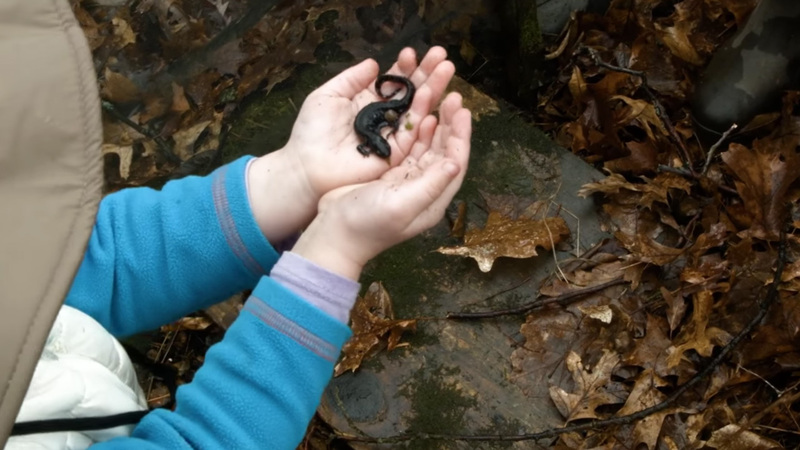 One panelist revealed his daughter’s field trips from her elementary school into the U.S. had all been cancelled because of the fears by students and parents about what could happen when they’re asked for papers and passports when they travel in to the U.S. The GDP for the Great Lakes–St. Lawrence Region is an estimated 5.8 trillion dollars. If the region were a country, it would be the third largest economy in the world behind China and the U.S.A. , producing 46 million jobs – 30 percent of the U.S/Canada workforce. Most panelists and speakers agreed: it is the partnership between the two countries that make the region’s success possible. The majority of business and government leaders and academics discussed the need for a unified stance in support of a new lock at the Soo as well as plans for the Gordie Howe Bridge between Detroit and Windsor. Former U.S. Ambassador to Canada Bruce Heyman said the U.S. stance on trade and the economy must be unified, clear and concise to continue with the Great Lakes Region’s prosperity. He said, “economic uncertainty is a killer” for the markets and the economy in general. 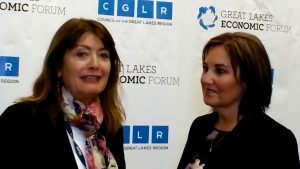 Watch and listen to GreatLakesNow.org’s interviews with Former U.S. Ambassador to Canada Bruce Heyman, Former Michigan Governor and Former U.S. Ambassador to Canada James Blanchard; The Honorable Scott Brison, Canada’s President of the Treasury Board; The Honorable Brad Duguid, Ontario Minister of Economic Development and Growth; and Lt. Governor of Ohio Mary Taylor as well as various videos of the panels.